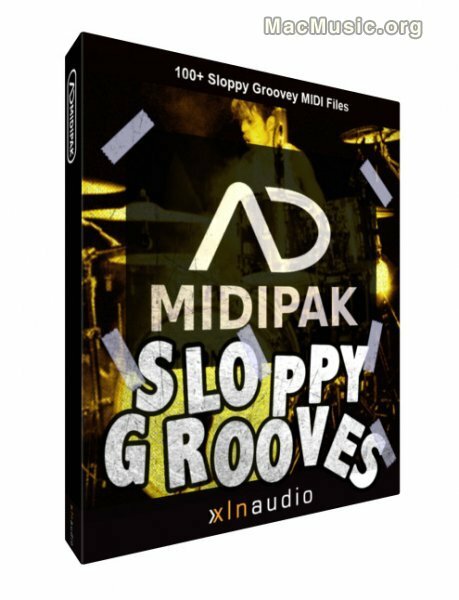 XLN Audio has announced the release of the Sloppy Grooves MIDI Pak for Addictive Drums and the Free Funk ADpak Trial. "Society tells you you have to be perfect. But what ever happened to stepping back, getting lazy and lowering your standards? This is what the Sloppy Grooves MIDI Pak is all about. Included is 100+ Pop/Rock orientated, not perfect but oh so groovey grooves recorded by a far from perfect drummer. Every beat has a number of variations such as ride, hihat, sidestick and specials for you to choose from." Sloppy Grooves MIDI Pak is available for purchase in XLN Audio's webshop and costs €12 / $12. "Did you always want to get your funk on with Addictive Drums but never got around to buying the Funk ADpak? May is the month of funk and your chance to get down and groovy, for free. Just login to your account, head over to the Product Downloads section and grab your own trial copy of the Funk ADpak. The only requirement is that you have a full version of Addictive Drums registered to your account. Once installed you will have full access to all kitpieces, beats and presets from the Funk ADpak for ten days. This gives you a granite sparkle Pearl Reference kit with cymbals from Sabian and Paiste. The Funk ADpak contains 400 grooves and 30 crisp production presets. When the test period has expired you can simply choose to remove the Funk ADpak and get on with your mundane life. Or purchase a license to keep the funk going and the grooves flowing!" Dec 8, 2006 Drum Addict ?